GW have released a new race for Aos and sorry but WTF!!!!! These look more like 40k than fantasy - have they pushed the boundary to much..... I think so! The resemblence to Squats.. ? It has been mentioned to have elements reminding of the old Dune movie. I get the vibe they are referring to, but the actual art of that movie differs quite a bit in my opinion. 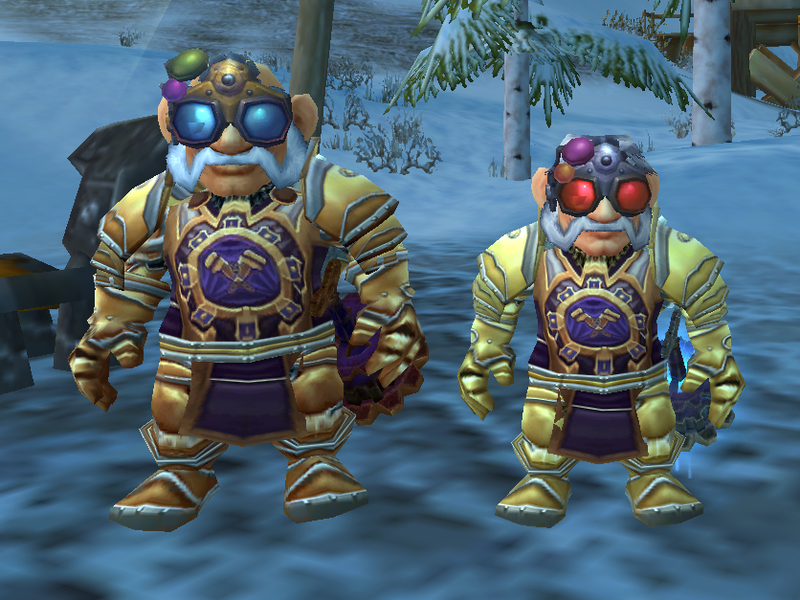 I'd classify it as an AoS version of Warcraft Gnomish Engineering applied to dwarfs. I must say I have very fond memories of that, with the outlandish style adding to the flavour. They look like Space Dwarves ...hence Squats. But a better concept -- what route with hindsight they could have gone down to enliven that original Rogue Trade race. But I like this steampunk reboot! I'm with Cult in that they dont jive with past Warhammer, but as stand alone models I find them characterful. As well as the obvious steampunk influences they also remind me of Warcraft, as you say Daeron, as well as Elder Scrolls Dwemer. The new AoS Dwarfy things look cool...but ultimately leave me cold. Where's the Squat super-heavy with the massive laser cannon? Now *that* was awesome. The cyclops was cool. 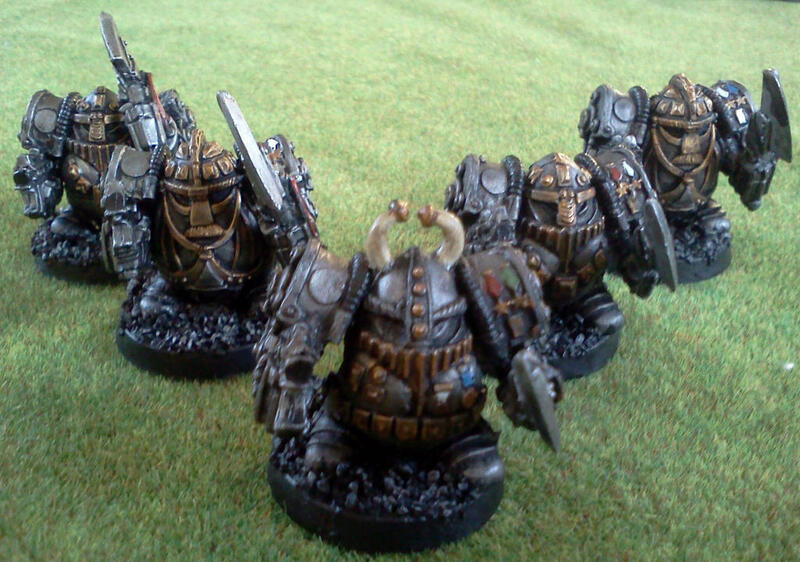 These Kharadron guys are definitely Squats - the next generation. I like the steampunk thing but I don't think it really fits in with AoS - it's moe like 40K I think. On the other hand, r=there was a fair bit of steampunk stuff in WFB too - Empire, Dwarfs and Skaven all had stuff that fits the steampunk aesthetic. Is it just me though or are those balloon things way too small to life a dwarf with heavy weapons? Now AoS has lost you? The rest of simply accepted that AoS became 40k-ified in not only rules, but also in aesthetic. And we who accepted that actually think the new squats look cool. ....you do know that AoS is the Emperor of the Imperium from 40k and the Unification Wars of Holy Terra? Right? Just told in a mytholigical greek god type genre. IIRC, they are not filled with any real-world lighter-than-air gas, but a magical substance that provides buoyancy regardless of the normal rules of physics, as befits AoS's generally high-magic setting. So the size of their metal balls doesn't really matter . And neither does the fact that they are made out of metal (which would actually be a much bigger problem from a real-world physics standpoint). you do know that AoS is the Emperor of the Imperium from 40k and the Unification Wars of Holy Terra? Right? Just told in a mytholigical greek god type genre. Nah, that doesn't really fit. The 40K Emperor, as we now know from the Horus Heresy novels, was basically a ruthless, xenophobic psychopath. Sigmar in AoS actually seems like a genuinely well-meaning dude, who favours working together with other species/races wherever possible (he gave Gorkamorka and the greenskins every possible chance to work peacefully with him before going to war with them - the Emperor would have attempted to wipe them out the moment they appeared, merely for not being human). If Sigmar corresponds to anyone in the 40K setting, he'd probably be Roboute Guilliman. This whole concept just gets worse and worse. I like the new minis though, I must admit, but I think they'd be more fitting to games like Malifaux than AoS. Or even 40K if I played it, but I don't - I have a fair few 40K minis (especially dark eldar - no surprise there then) but I have even less interest in playing 40K than I do in AoS and that's saying something. Even so, it should be fun to write up a 6th edition army list for these guys - but since REAL dwarfs don't cast spells, they'd have to be chaos dwarfs, which I guess you could get away with, and which would fit the model aesthetic better anyway. I haven't read the fluff, so I can't judge... but nothing I've seen thus far indicates they are magic users. From what I've read, they use gold with mystical properties. In AoS there are quite a few abilities that aren't magical, yet have a comparable mechanic. IE: the Stormcast don't have magic users, but have plenty of abilities that can heal or deal damage. There isn't a distinct magic phase, so there it feels like a big blur of abilities, but it kind of works and non-magical armies don't necessarily feel they are skipping a phase. "real dwarfs don't cast spells"
There isn't really a clear dividing line between magic and mundane in AoS. The 'Mortal Realms' were sculpted out of the old Winds of Magic from WHFB after all. The 'world' itself is literally made out of magic. 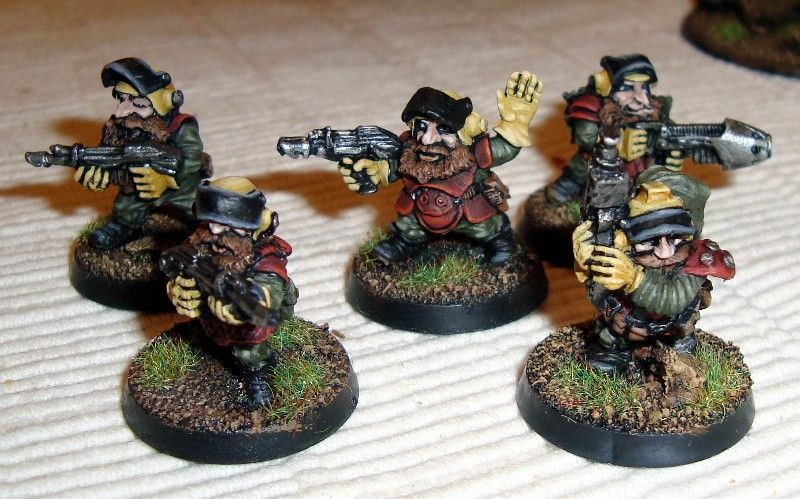 Anyway, dwarfs in WHFB were never completely non-magical. They didn't have wizards as such, but they were the setting's premier magic item makers. They had big metal anvils that flung lightning bolts at people for crying out loud! They distrusted magic that was bound merely by the will and words of a spellcaster, but were fine with magic bound into stone or metal with runes, because that sort of binding lasts and dwarfs were all about building to last. Very true... Or perhaps Dwarfs weren't as heavy as they look and didn't need a lot of lift to get airborne. Come to think of it.. that makes sense. Perhaps that girth they carry around isn't fat but pockets of helium. Perhaps that's why they needed their beards to be long, so it would be easier to hold them or kite them instead of flying off at the first gush of wind. Perhaps that's why they are always clad in such heavy armour: to stay on the ground. Maybe that's why Slayers want to die with their axes in their hands, because without them they'd just end up floating in the clouds and die of starvation. Hm! Maybe that Gyrocopter is designed to push them down, rather that up. It's really just about their background - there's no rules stuff. They do sound interesting, but GW, please, stop telling us a faction are "good guys" and then making them sound like selfish assholes. Having a code that outright forbids them from helping out or stopping atrocities from happening unless they can make a profit out of doing so is not "good". It is, in fact, the opposite of "good". Not that I want them to be "good guys". It's just funny/annoying that Jeremy Vetock is so damn insistent that they are, when almost every thing he says about them makes them sound like really horrible people. They're basically every negative stereotype (plus a handful of the less negative ones) about Americans loaded onto steampunk fantasy dwarfs. Games workshop have really done an excellent job with these models they look amazing! The artwork and fluff for the sound excellent BUT and it's a big one I just don't see how they fit in a fantasy setting - they look way to much 40k for my taste. Honestly I think 40k-ification comments about AOS is a bit too much. Yes, it is different from Old World because its a new setting with a different tone but kept some things to tie it together. I get that blowing up the old world stuff is not an ideal for us who liked the Old World so much and has spent years of work to it. Myself; after reading the story of AOS is a bit I have warmed to it and came to appreciate it as another setting. I will ofcourse always cherish the old world and wish it wasn't gone. In a setting with huge trees, floating rocks and a sleeping dragon that appears to be the local sun, I think there is room for these as well. I believe Kharadron fits into Mortal Realms just well as steampunk Skaven. Besides, 40K is a fantasy setting. It has gods and magic and elves and daemons. The Imperium is ruled by an ancient liche on a magic golden chair. The technobabble in 40K doesn't try to make sense even to the degree of settings like Star Trek. So moving closer to 40K is not moving away from fantasy. It is just a different flavour of fantasy. I guess it's a bit like the Star wars universe where you have a mix of high tech and magic powers. 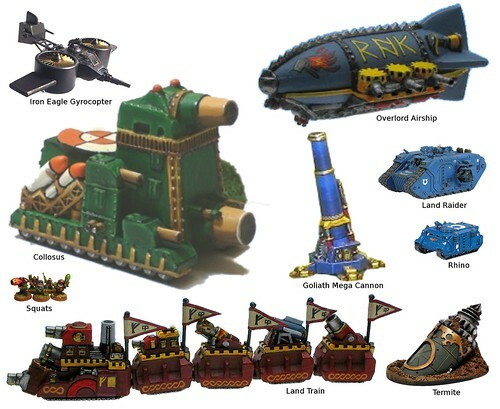 I don't have TOO much of a problem with technology in WFB - Dwarfs and Empire have had weird out-of-time stuff for ages - steam tanks, gyrocopters etc - not to mention some of the wacky stuff that the Skaven use - so I guess steampunk dwarfs are kind of OK, and they look really cool (apart from the fact that they're all short, fat and hairy of course ), and I guess it'd be fun to convert their rules to make them compatible with WFB 6th edition for those veteran players who just can't bring ourselves to have anything to do with all that AoS nonsense. Considering they had a drill powered by booze, and a steampunk helicoptor for at least the past 4 edditions, this is just the next step. So will we finaly get any golums from this? From my point of view, there is pretty much nothing GW could do to 40K that would make it any worse than it is currently. It's a nonsensical, inconsistent, over-complicated mess of a system. Hideously badly balanced and borderline unplayable. From what I've heard so far of the changes they're making, it sounds like GW have learned both from the mistakes of past and current editions of 40K and the mistakes they made in AoS (before they patched it with the GHB). Yeah, that's one of the very few things* about AoS I still really hate. Especially as a Chaos player. I want to field units in multiples of my god's sacred number. Which is definitely not 10! Ignoring the points-per-10-models nonsense is a reasonably common houserule, though. * - The others are the way cover doesn't help you at all unless you're wearing armour; the lack of any defensive benefit of being a skilled fighter in melee (i.e. an inhumanly fast and agile witch elf is as easy to stab as a zombie); and the ease of sniping characters. And a proper points system is essential - the early draft of AoS proved that not having points just doesn't work at all and frankly, as experienced game developers, GW really should have known that before they started with it. Still lots more work to be done I think. I can't see how having a proper, balanced points system would make the game too complicated. As you know, I'm not a big fan of dumbing down (in anything, not just gaming) and while I accept GW's reasons for wanting a more simplified system, I do think that things like this are a tad insulting to the intelligence of their players. 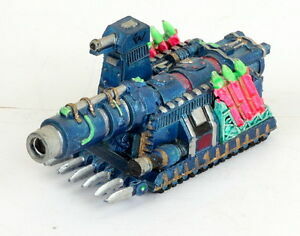 As you all know GW hasn't gotten in new idea sine its creation. And since war machine and Hoards merged in to one game its capital grew, as one game wasn't eating at the other. So GW is doing the same, this has been noticeable for many year, but its very obvious now. If you don't believe wait until 8th ed 40k is released. Darkprincess. That is simple, 40k sold better then WFB so they went with a simple skirmish game, over a more complicated tray game.